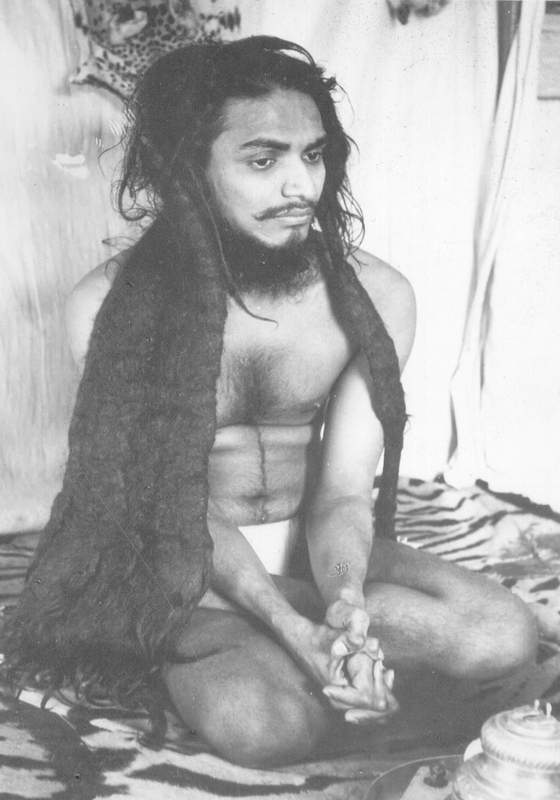 Shri Shivabalayogi Maharaj was a Self Realized Yogi, affectionately known as Swamiji. 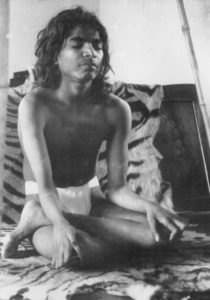 At the age of fourteen He had an extraordinary experience which placed Him into a state known as Tapas, in which He meditated in perfect thoughtlessness for an average of twenty hours a day over twelve years. When He emerged as the Self Realized Master Shri Shivabalayogi Maharaj on 7 August 1961 at the age of 26, tens of thousands had gathered to greet Him. For three decades He travelled extensively in India, Sri Lanka, England and the United States, initiating hundreds of thousands of people into meditation. Shri Shivabalayogi Maharaj attained Mahasamadhi (passed away physically) in Kakinada, India, on 28 March 1994. 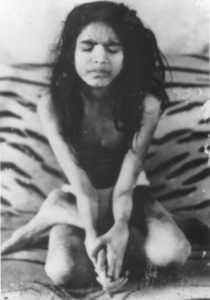 Shri Shivabalayogi Maharaj was born Sathyaraju on January 24 1935, in the small village of Adivarapupeta, the rice paddy country of Godavari River delta in the state of Andhra Pradesh, India. Most of the villagers earned a simple living making cotton sarees and dhotis on handlooms. 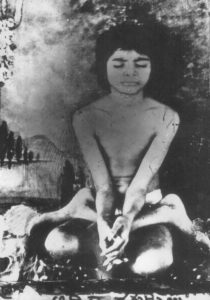 Sathyaraju’s father, Bheemanna, was a weaver with very little means and died before Sathyaraju was three. The young boy was raised by his mother, Parvatamma, and maternal grandfather, Goli Sathyam. They were among the poorest in the village. At the age of five Sathyaraju began working to support his family. His hard-working nature ensured that he soon earned enough money from weaving sarees to open a small shop. Sathyaraju was by nature extremely determined and honest; he found injustice difficult to tolerate. Once, when a man posing as a spiritual figure began terrorizing his village by threatening to curse anyone who crossed him, the young Sathyaraju openly challenged him to prove his powers. That man did not trouble the villagers again. Later when Sathyaraju’s business flourished, he took it as his duty to generously support his community. At the age of fourteen a profound change came over the young boy. 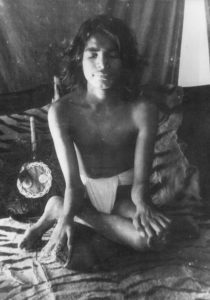 Over several weeks he found himself becoming more withdrawn and introverted, often sitting alone in deep contemplation. Then on August 7, 1949, he had an extraordinary experience while on the bank of the Godavari irrigation canal just outside the village. 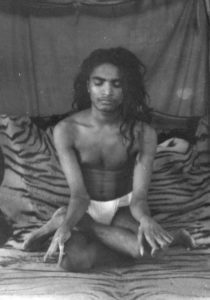 He experienced the dazzling manifestation of a Yogi, who instructed him to sit in a cross-legged position and close his eyes. 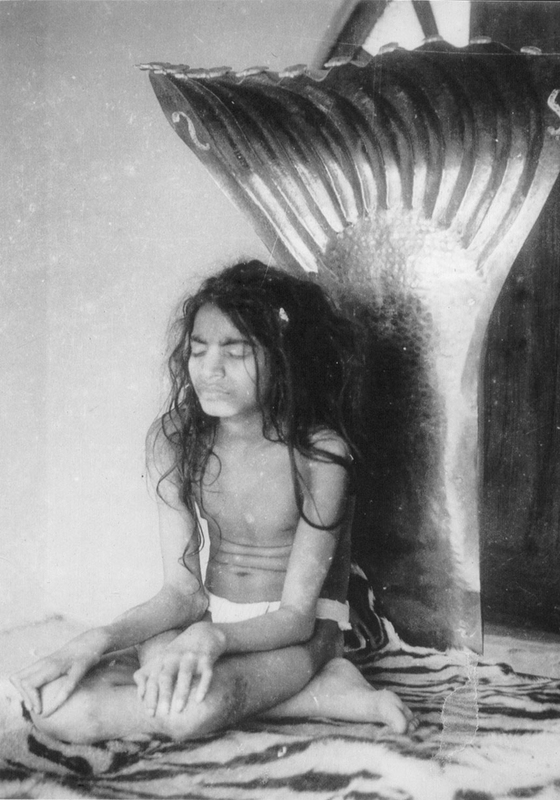 The Yogi touched the boy’s forehead at the bhrikuti (the point between the eyebrows), then gently tapped him on top of the head. Sathyaraju immediately passed into Samadhi (a state of perfect thoughtlessness). Thus began a twelve-year period of Tapas in which he meditated for twenty hours a day on average. While many in the village were genuinely impressed by the young boy sitting completely still in meditation, others thought he may be acting. Some village boys even started beating his body, throwing him in the river and even tossing a burning kerosene-soaked rag on him. 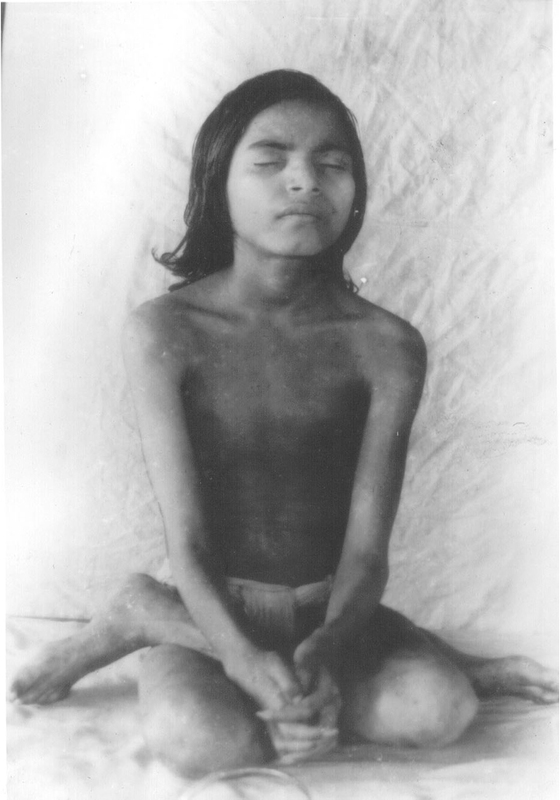 While he was not conscious of his body in his deep state of Samadhi, he used to experience severe physical pain when he emerged from this state each day. To escape such unwanted attention, Sathyaraju moved to a graveyard, where he knew the villagers would not trouble him. There he was bitten by a cobra and later during the rainy season insects and rodents began to eat the flesh on his legs while he was sitting in the graveyard mud. Nevertheless, he persevered with enormous determination. 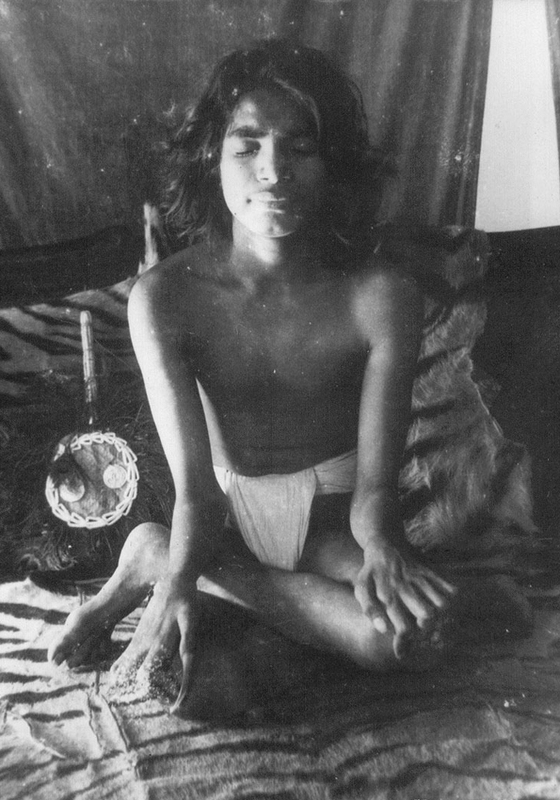 He emerged on 7 August 1961, at the age of 26, as the great Self Realized Master Shri Shivabalayogi Maharaj. His first public message was broadcast over radio, then printed and circulated on flyers. 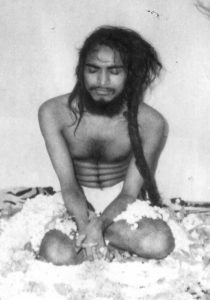 In this message he emphasized the importance of never compromising on the goal of Supreme Peace, and eschewing the temptations and visions along the way which create more ego and are nothing but hallucinations of the mind. For three decades Shri Shivabalayogi traveled extensively in India and Sri Lanka, initiating hundreds of thousands of people into meditation. From 1987 to 1991, he travelled to England and the United States. 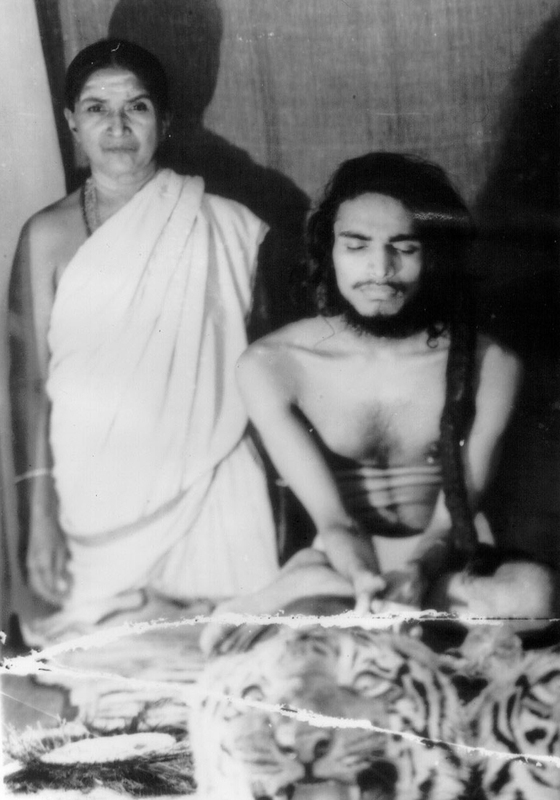 Though he remained silent during public programmes, Shri Shivabalayogi taught his disciple Seenu (the future Shri Shivarudra Balayogi Maharaj) through profound aphorisms, stories and in many other ways. 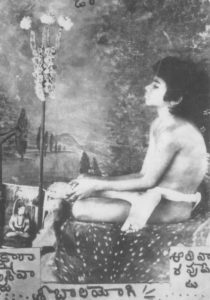 His primary teaching was an ancient and universal method of meditation, without name or form, which is known as Jangama Dhyana (meditation on the Eternal Existence of the Self). He initiated in a unique way as a friend, without discrimination or charge. 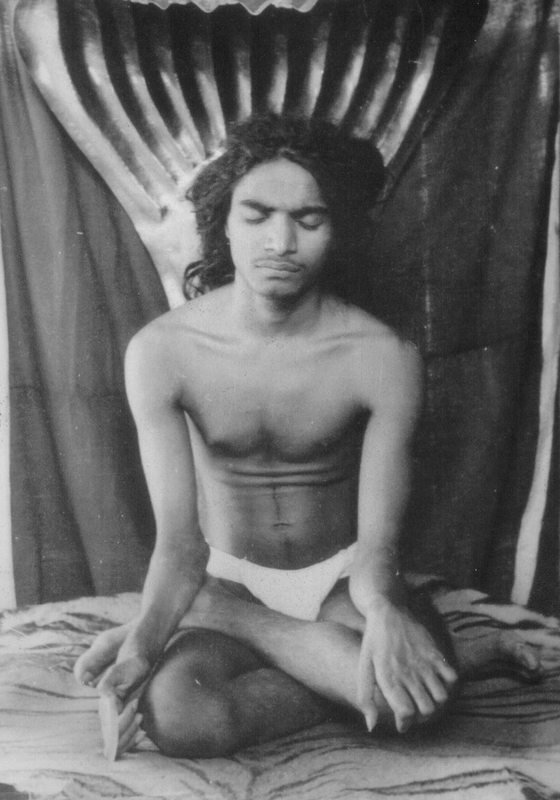 When devotees inquired about his spiritual philosophy, Shri Shivabalayogi referred them to the Yoga Vasistha. The Yoga Vasistha is a dialogue in which Sage Vasistha explains that all visions and thoughts of the mind are simply illusions. The pure consciousness of the Self is the only reality, eternal, all-pervading and existing in itself. 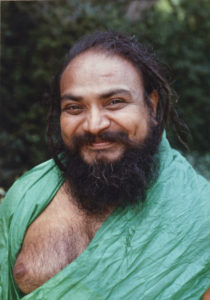 Shri Shivabalayogi Maharaj attained Mahasamadhi on 28 March 1994. Physically He is gone, but His Presence remains undiminished.